Happy 1st Anniversary Small Chick Big Deals! Looking back I cannot be happier than I am today with the decision and commitment I made to post weekly from this day last year on to Small Chick Big Deals. I’ve had the opportunity to meet, speak & interview my idols in the food world, share some recipes, reviews of the latest and greatest restaurants that won’t break your budget in the tri-state area and have opportunities many people my age, could only imagine. I am also so thankful and incredibly proud of the team I was able to take on this journey with me this year. Of course, my biggest thanks to all my readers near and far– SCBD wouldn’t be as successful as it is today without your continued support and viewership! I am looking forward to your tweets @smchickbigdeals with your favorite posts with the hashtag #SCBDAnniversary today!! Cheers to a great one year anniversary, what 2013 has in store for #SCBD and many more! 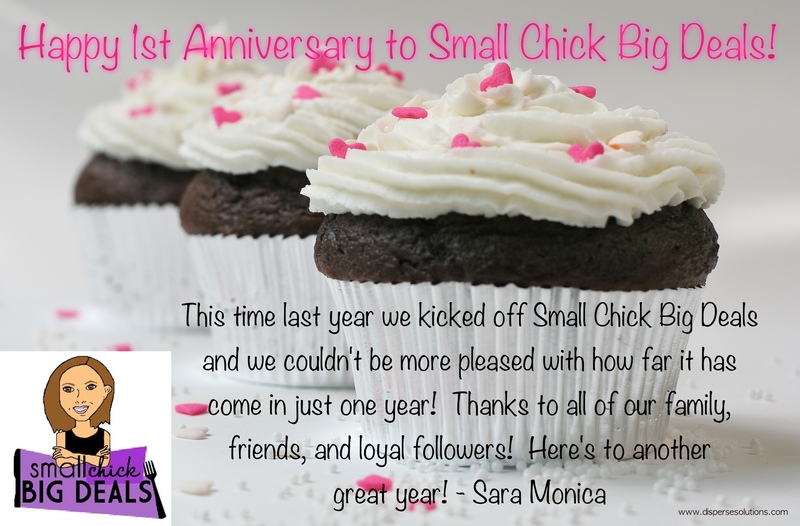 This entry was posted in #SCBDAnniversary, a year ago, Anniversary, cheers, nj, nyc, Sara Monica, SCBD, SCBD team, Small Chick Big Deals and tagged #SCBDAnniversary, cheers, happy anniversary, scbd, small chick big deals, thankful by smallchickbigdeals. Bookmark the permalink.